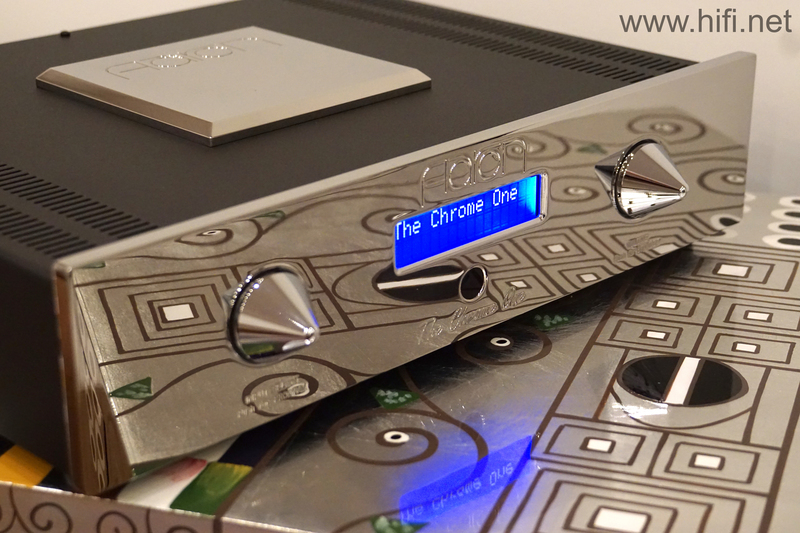 AARON THE CHROME ONE ® High End Stereo integrated amplifier. 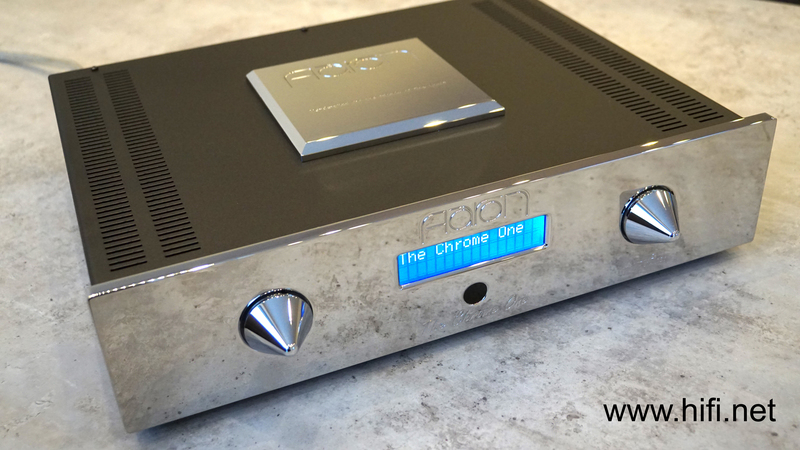 Make your time a brilliant time - with the new AARON The Chrome One High End integrated amplifier. 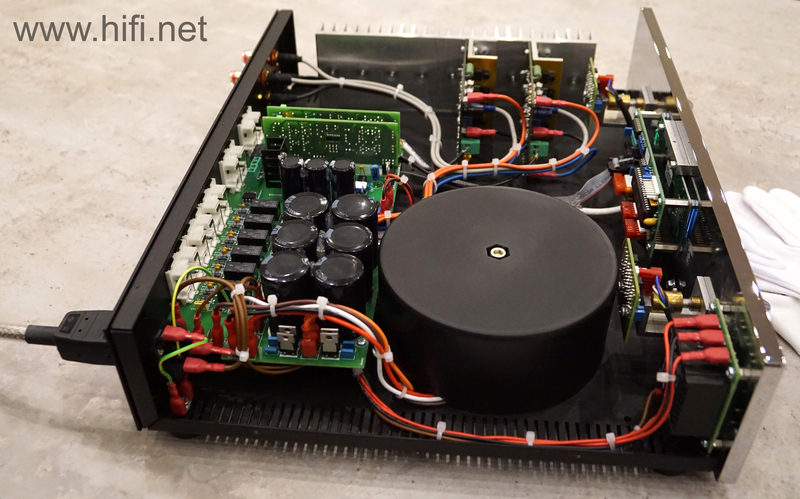 With this integrated amplifier we have developed a real musical time machine for you. Experience your favorite music from all eras and all genres - with the force, energy and precision, that is given to you by this integrated amplifier. You will be fascinated. Time and time again. Sparkling technology behind a chrome reflecting facade. This is the AARON The Chrome One. The modular setup, which is known for our award winning and loved model AARON No. 1a, was driven to the tip. 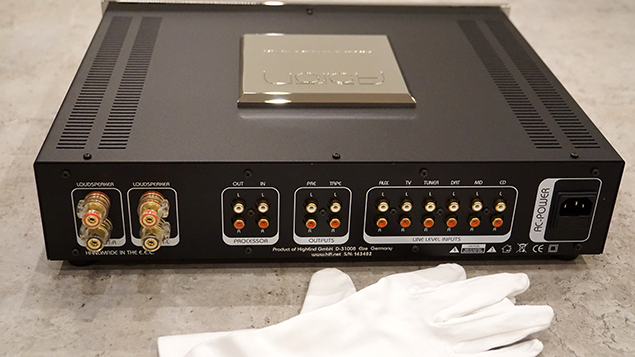 Two separated power supplies for the preamplifier and logic sections as well as the potent power output stages are delivered extremely stable stress ratios. The preamplifier and power output stages are built with fully discrete mono PCBs, which are fitted with selected elements. The signal path optimized power modules are based on our AARON and SOVEREIGN amplifier typical and highly praised collector sequence. This ensures the powerful drive of all speaker constructions - even if they are very demanding or for example impedance critical. The The Chrome One has everything under control. 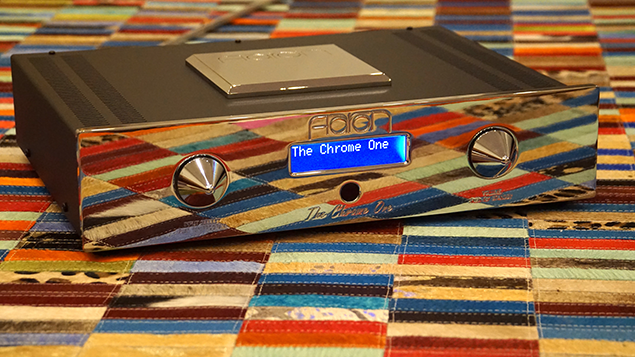 Experts already know, that this technology was making a splash several months before the release of the „The Chrome One“ in the disguise of the technical identical, but with a limited design special edition called „LET'S ROCK!“. For his sensational tonal properties were this integrated amplifier awarded with the title „Best device of the year“. We are delighted regarding this award,the related review can be read here. A datasheet of the The Chrome One is available for download here. 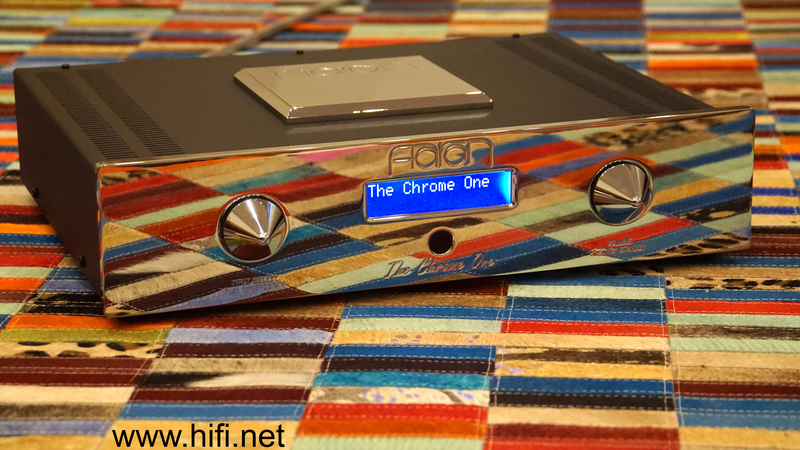 If you want to get to know more about the technical details of the The Chrome One, or if you would like to experience the The Chrome One connected to your speakers in your personal equipment, just contact us. We are looking forward to fill you with enthusiasm and welcome you to the circle of AARON-owners, friends and friends. ... with complete fulfillment, which we are happy to guarantee. Be delighted with our High End satisfaction guarantee. To choose the financing options, simply drag the sliders to the desired value.